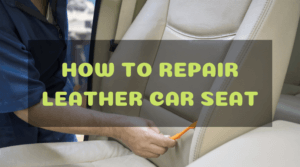 The ceiling in the interior of your car will usually be made from foam, a hardened backing material (typically made of fiberglass or fibrous material similar to wood), and the exposed material like leather, vinyl, or fabric. All three materials are glued together to form the headliner. Improper cleaning techniques (like using an overly wet towel) might weaken the bond between the three materials, hence resulting in irreversible damage. Besides the aesthetics, the headliner serves many purposes other than providing a clean and uniform look to the interior of your vehicle. 1. The headliner is used to insulate the occupants from extreme heat and cold. 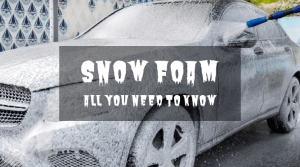 Depending on where your car was manufactured, some headliners will contain thicker amounts of insulation in order to make the cabin more comfortable. 2. It is also an important component to enhance the NVH (Noise, Vibration, and Harshness) characteristics of your vehicle. 3. Depending on the material used, the headliner will give your vehicle a premium look that will enhance the overall refinement of your vehicle. 4. 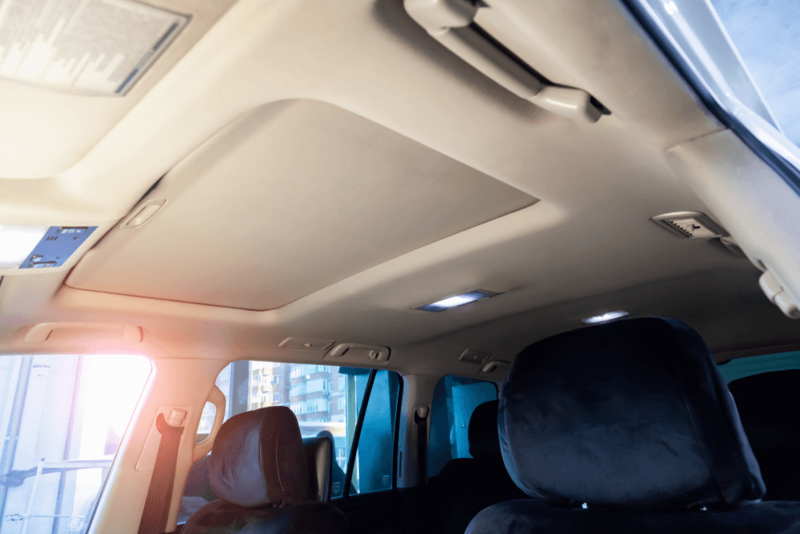 The car headliner is also used to mount vehicle accessories such as dome lights, sunglass holders, switches, speakers, and Bluetooth microphones. 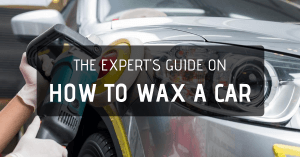 Here are some tips and tricks on how to safely and effectively clean the headliner in your car. 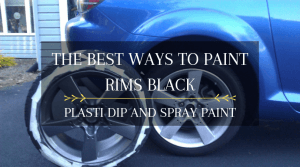 It is highly recommended to immediately remove obvious dirt and stains from the headliner. This will prevent the stain from soiling the inner most layers of the headliner. Grab a clean microfiber towel and damp lightly with water. Spray a small amount of interior cleaner on the damp cloth. Repeatedly dab the cloth directly on the stain using light to moderate pressure. Do not rub or agitate the cloth over the stain! The goal here is for the cloth to absorb all the dirt and stain from the headliner. Repeat until the stain is completely gone. Finish the job by dabbing a dry towel on the soaked area to remove excess moisture on the liner. After this, allow the area to air dry for about 20 minutes to an hour. 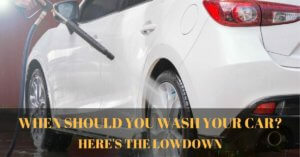 You can also use water mixed with a small amount of vinegar if you don’t have an interior cleaner. Simply dip a clean microfiber towel or terry cloth into the vinegar and water solution and dab lightly on the stained surface. 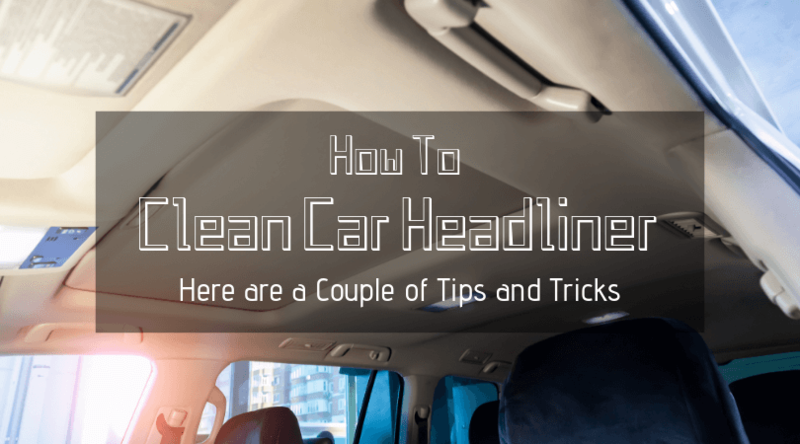 If you notice that the entire headliner is soiled or dirty, then you will need to clean the entire surface. This especially holds true for older or used cars. It is also a good idea to inspect the condition of the headliner before cleaning. If you notice that the headliner is extremely soiled or is sagging in the middle, you will need to bite the bullet and replace the entire headliner altogether. Remove loose dirt and dust with a vacuum cleaner. Use an upholstery or carpet attachment for this procedure. Gently vacuum the entire ceiling while focusing on the edges and crevices of the ceiling. 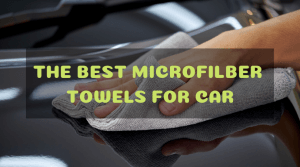 Grab a clean microfiber towel and damp lightly with water. Spray a moderate amount of interior cleaner on the damp cloth and proceed to clean the headliner. Work on a small area at a time. Gently dab the wet cloth on the liner using light to moderate pressure. 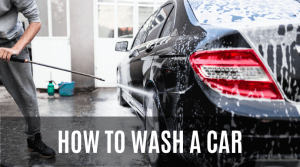 If the towel is soiled with dirt, rinse it with clean water, wring out excess water, spray interior cleaner on the damp cloth, and repeat the procedure. Remember to avoid soaking the headliner with excess water and cleaner to avoid sagging. Wipe the moist area with a separate microfiber towel to remove excess moisture. Allow to air dry before driving your vehicle. You can’t go to war with a pencil. In order to effectively clean the headliner, you will need to use the right products. Vinegar and water is an extremely effective solution that will get rid of nasty stains and odor from the interior of your vehicle. But not all people like the smell of vinegar in their car. I particularly like using the Detail King Headliner Cleaning Kit for this job. 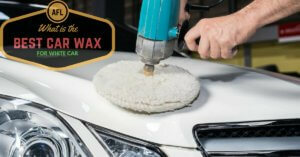 The included Magic Cleaner Concentrate will rid the headliner of dirt and stains while leaving it with a pleasing scent. This kit is also economical to use and even includes a Hydra Sponge for easier cleaning. The Griot’s Garage Interior Cleaner is also a favorite since it is safe to use on vinyl, fabric, and leather surfaces. 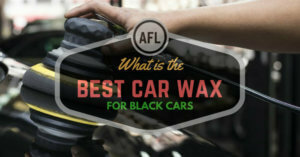 It can also be used to clean carpets, floor mats, seats, and the door panels in your ride. You should clean the headliner in your car at least once a year or once every 6 months in order to maintain the pristine look of the interior. 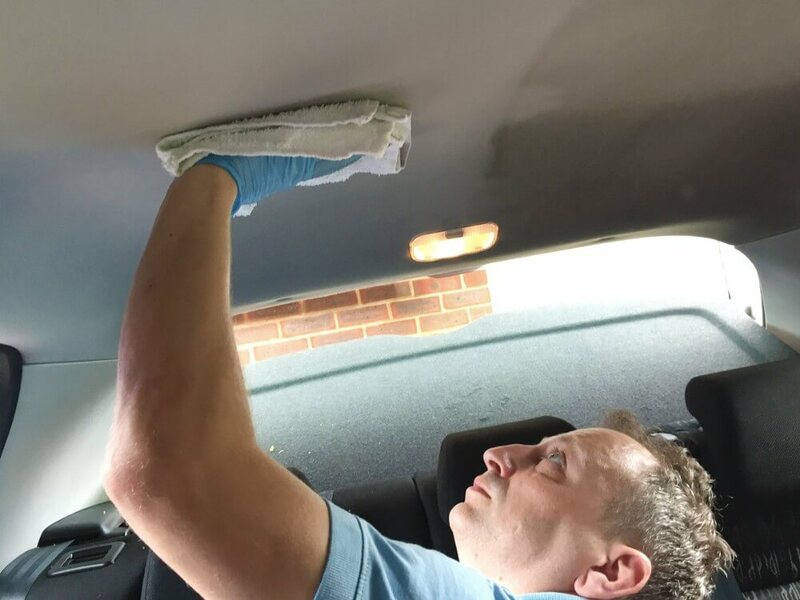 If you are wary of cleaning the headliner yourself, you can always consult the services of a professional detailer.